Performance sedan meets crossover with the electric-powered AWD Nissan IMs. The company aims to introduce 12 EVs by 2022. This concept targets Gen-Y consumers. 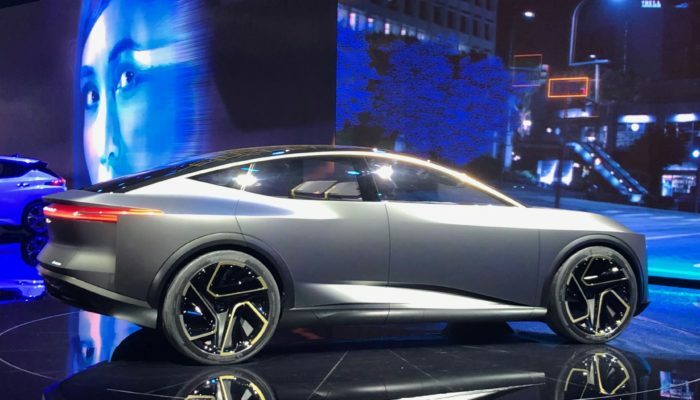 Denis LeVot, Nissan charman, showed the concept Monday morning at the North American International Auto Show. Highlights include dual battery-powered motors, front and rear, 493 hp and air suspension. The vehicle can drive in manual or full autonomous modes.